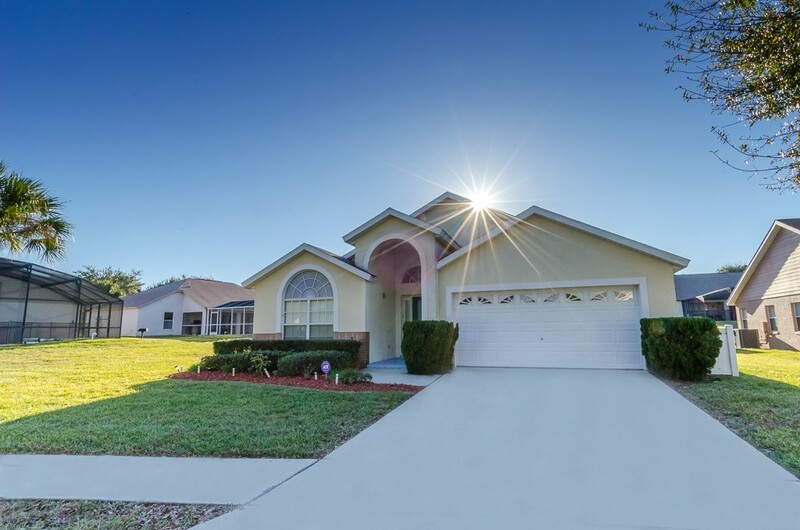 5 bedroom, 4 bathroom villa in the Orange Tree community. Owned by Mary and Colin Edwards. Ref: 3386. We have a local Management company who are always on hand should you need them. They keep our home to the highest standards. Magnolia Dream has a Monitored Alarm system and a safe. Fenced round garden giving Total privacy for relaxing by the pool. 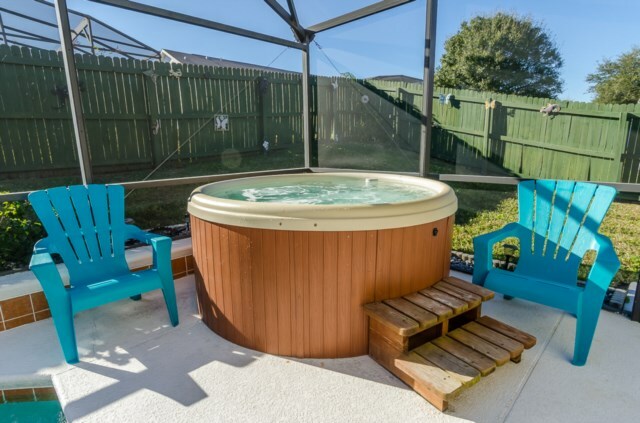 Stand Alone Hot tub nice to relax in after a day at the parks. Shaded Lanai for dining outside in comfort. King size bed in Master bedroom, with en suite bathroom. Walk in wardrobe to hang all that holiday shopping. King size bed and en suite bathroom in second master. The third King bedroom has a bathroom to itself, and a featured arch window, letting in all that wonderful Florida sunshine. The two twin rooms are favorites for all ages, one decorated in Mickey and his pals, the other in a jungle style with Simba and friends. There is a Mickey decorated Full bathroom shared between these rooms. 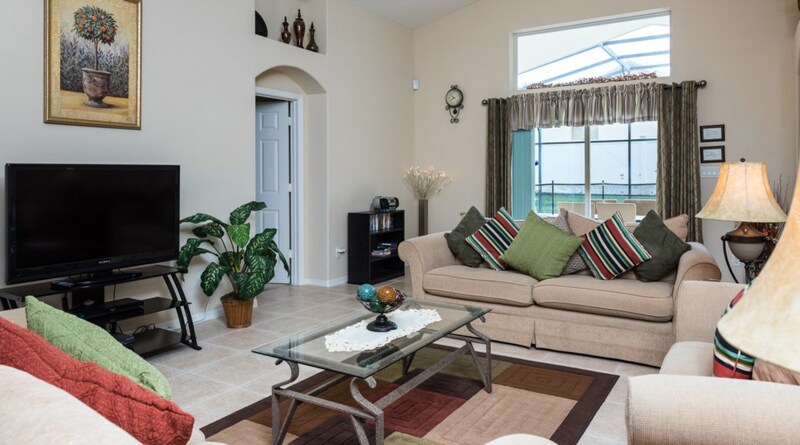 The Great room is called so because it is a very large family room with space for all. With large cable TV. free internet access, and a playstation two and games. 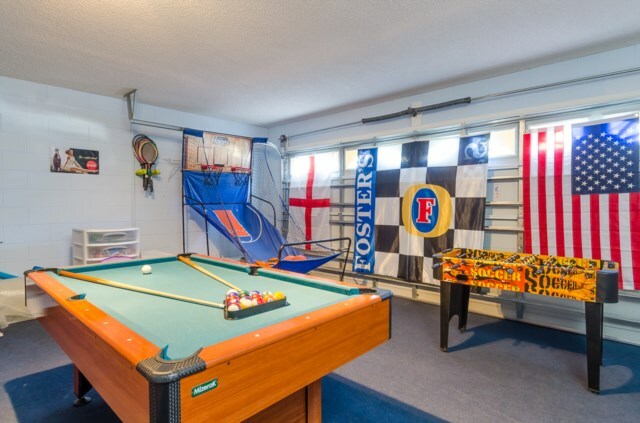 The Games area has a full size pool table, foosball table, basketball shoot, and more. We are less than ten miles from Disney. Have many golf courses near by. Walmart is five minutes up the road. Publix is closer plus Walgreens and more are all close by. There are also some nice restaurants all within easy reach. Welcome to Magnolia dream where your dream vacation begins. 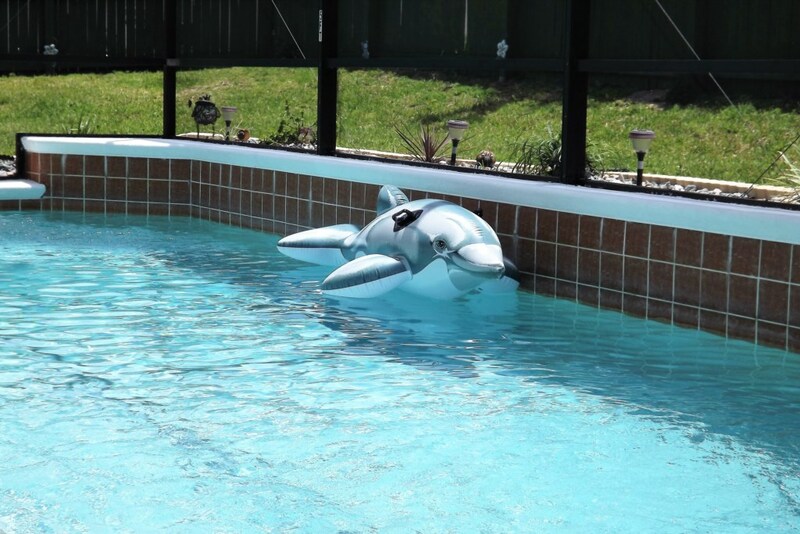 Whatever your dream holiday is, whether it’s the magic of Disneyworld, the rollercoaster’s of Universal, the splash of Shamu in Seaworld, dreaming of being an astronaut at Kenndy Space Centre or just the many great things of Orlando itself, Magnolia Dream is a great way to start your holiday in Florida! 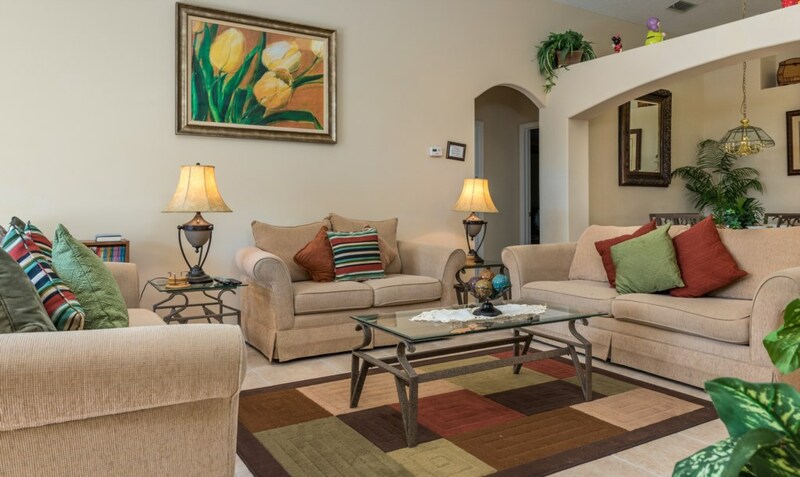 Our home is situated on the Orange Tree community, which is known for its luxury villas and only 10 miles from the attractions. Magnolia Dream boosts 5 bedrooms, 4 bathrooms, 3 of which are en-suite, so whether you are a family of 2 or 10 there is plenty of privacy for all, no queuing for the bathroom in the morning, when you can’t wait to get going. 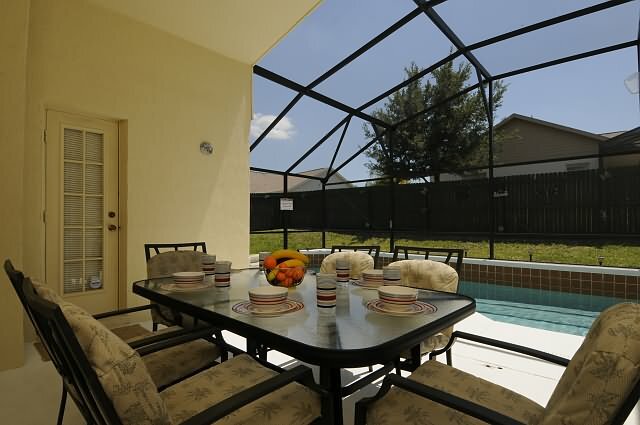 With a large southwest facing pool you’ll have plenty of sun to relax in that Florida sunshine on one of the many sun loungers. Should you want some shade, the covered lanai has a table and chairs to help you cool off and enjoy those iced drinks, or even dine alfresco. The pool area is totally private with a fence all around, so you can enjoy a family BBQ, a dip in the pool and meals without being overlooked. 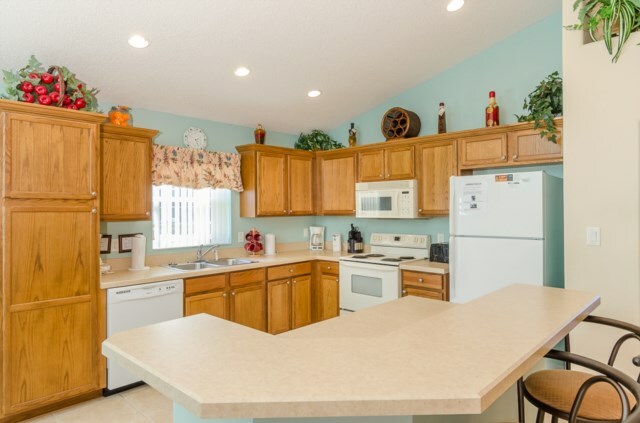 The kitchen is fully equipped for all your cooking needs, should it be a quick snack or a full meal, that's if you have the time with the many fabulous restaurants that are within 10 minutes away. Enjoy sleeping in the luxury king size bed in the master suite, with en-suite bathroom and walk-in wardrobes with a safe for your needs. The King size bedroom, also en-suite, has doors leading to the pool area, the same as the master suite. 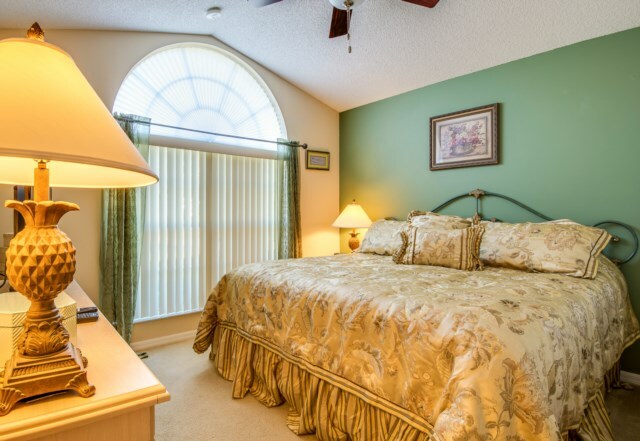 The third King bedroom is situated at the front of the villa and is a delight to wake up in with detail arch window letting in the beautiful Florida sunshine. The children of all ages will love to sleep in one of the decorated twin rooms, one of Disney with Mickey, Minnie and friends, the other with jungle friends for that safari feel. 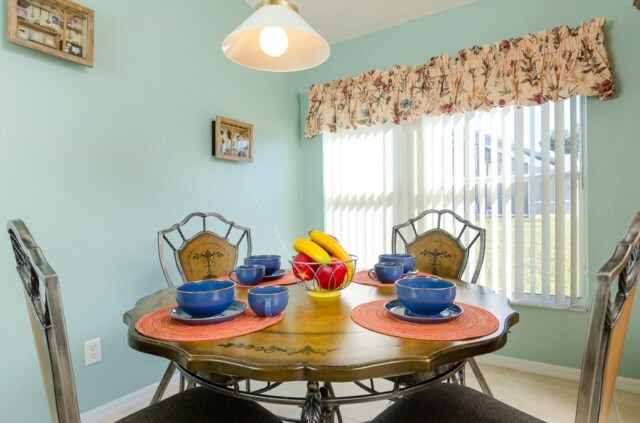 Magnolia Dream has spacious living areas so you can relax and plan your days, be it Shopping at one of the many malls, playing golf, hiking and nature spotting at one of the Florida state parks, fishing or deciding which of the many theme parks or water parks to head to. 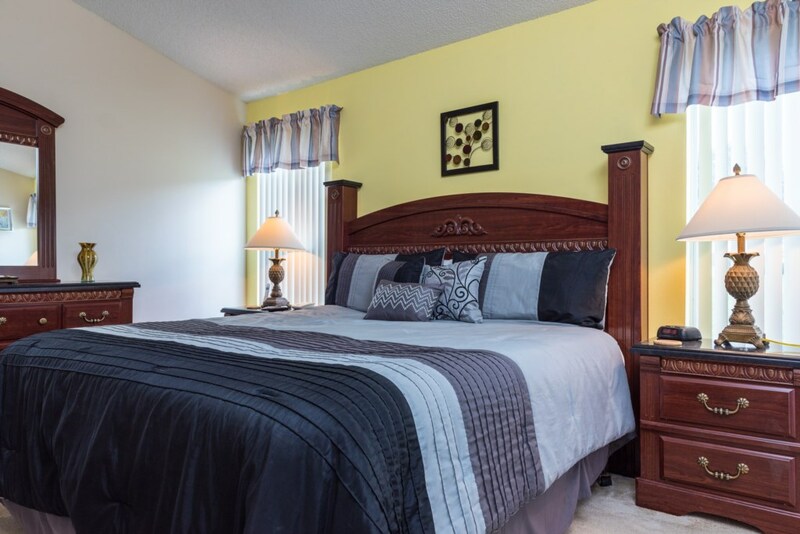 Magnolia Dream is a click away for all the luxury you deserve for your well-earned vacation. Family vacations that are treasured memories, Dreams do come true. My family of 10 arrived at the Villa and were amazed! The property exceeded our expectations. The owner knew we were driving in from Memphis which is 14 hours to the property, she offered to tell the management company to have us some snacks and they did so. 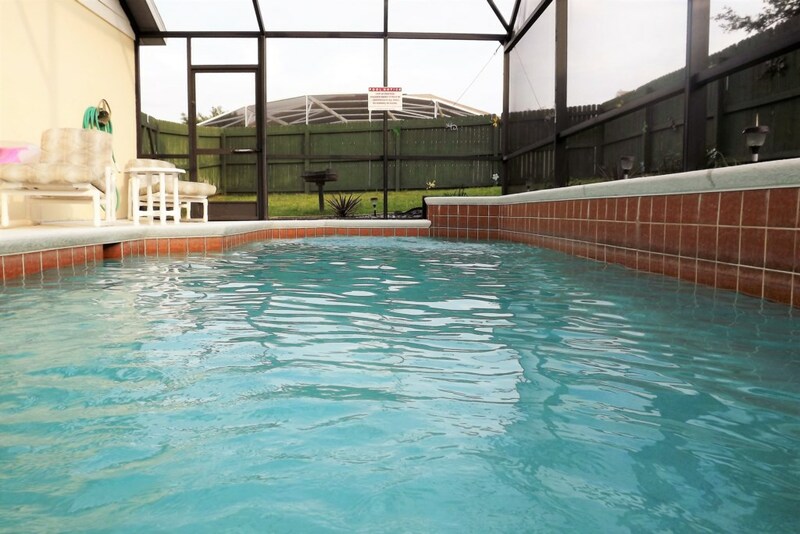 The rooms are very spacious, the pool & hot tub are great! They leave a guest book with tons of information for you such as places to visit, beaches, hospitals in case of emergencies etc. 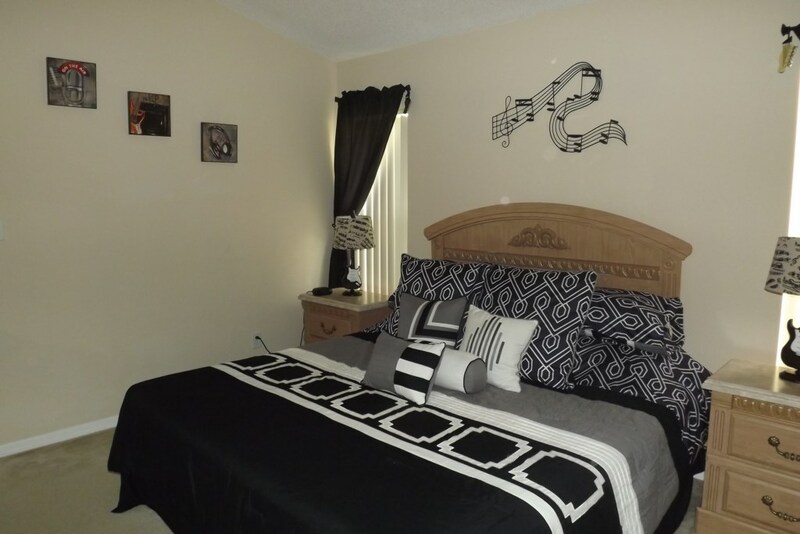 The property was very clean and the beds are very comfortable. My family and I are very thankful for making us feel cared for and not just as another tenant! The owners really do care. Being in the property management business myself, I know this is what tenants always look for. Thank you so much Mary. We will definitely be booking with you again. Fantastic Home! Close to Disney, Stores & Restaraunts. Yet in a quiet, safe neighbourhood. Perfect bedroom layout for large families. Super , Super clean!!! Welcome Basket a very nice touch and Gary could not have been more helpful! Awesome Pool, Hot Tub and Games Room, the grand kids loved it!! We booked this villa because the children loved the themed rooms, they were not disappointed the Mickey room was wonderful and just as the pictures. My little boy wanted to sleep with the animals and it was so funny watching him trying to get the huge lion on his bed. The hot tub was wonderful to relax in while watching the children in the pool and in the evening when they were in bed. for us all to have our own bit of luxury. Thank you again for letting us stay in your wonderful home. Our entire extended family stayed in this property for 10 days between Christmas and into the New Year. We all had a wonderful time. The house fit all 12 of us with room to spare! It was very clean and looked exactly as advertised on the web site. The management team and the owners were very helpful and welcoming showing us around, teaching us how to use the alarm & appliances and provided great service and site seeing hints. We would highly recommend this property to all our family & friends. "Pure luxury - fantastic vacation" We were met at the villa and was shown around - the photos do not do it justice- it was beautiful and we were excited to be staying there. The children two aged 10 years and one aged 7 loved the themed bedrooms and the games room was perfect for self entertaining, the pool was great for relaxing. 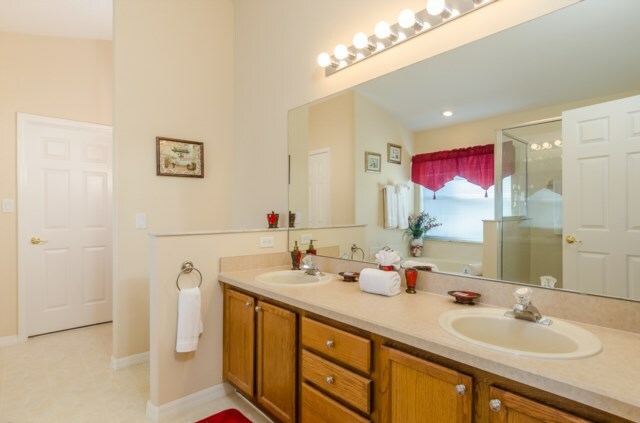 The bedrooms and bathrooms were very spacious that you felt you were in pure luxury compared to home. The community was very quiet in fantastic location and very clean. Being only 10 minutes from Disney door to door was brilliant! The supermarkets Target and Walmart were very close along with a large variety of restaurants, with so many to choose from its difficult to have a favourite. As there was 7 in our party the villa was lovely and spacious. We occassionally ordered a takeway so we could eat at the villa, especially eating outside near the pool area, very peaceful. My whole family had a fantastic time that they cannot say what they enjoyed best... we cant wait to go back...Thank you Mary and Colin. For stays of less than six nights will incure a cleaning surcharge of £60/ $120. A 20% deposit of the rental cost is required to confirm your booking. The balance is due 10 weeks before your arrival, or the whole amount will be due immediately if you will be arriving within 10 weeks. A security bond of $400/£300 is required with the final balance or can be paid on arrival to the management (which is a credit card hold). This will normally be refunded in full within four weeks of your departure, subject to our Management Company confirming that there has been no loss or damage at the property. Alternatively, you may pay a non-refundable Accidential Damage Waiver ($80/£50). Payment is accepted in $ USD or £ sterling. Payment may be made by cheque, Bank Transfer or by Credit Card via Paypal or Our management company. Average rating: 5.0 / 5 from 6 reviews. Just thought I would email you a huge thank you for allowing us to stay in your beautiful villa. It was such a comfortable home to return to at the end of a busy day !!! We had an absolutely fabulous first visit to Orlando. Our only slight disappointment was perhaps the weather, we knew to expect rain showers so had ponchos at the ready but we had some pretty prolonged episodes of rain even the Publix staff we commenting how crazy the weather has been. It certainly didn't keep us in. I predict this is just the first of many family trips to Orlando, so much more to explore. We booked Mary & Colin's Magnolia Dream Villa as it was recommended to us by a friend to stated there last year. From the initial enquiry to the return of our security deposit Mary was with us every step of the way. The villa was perfect for our party of 8. 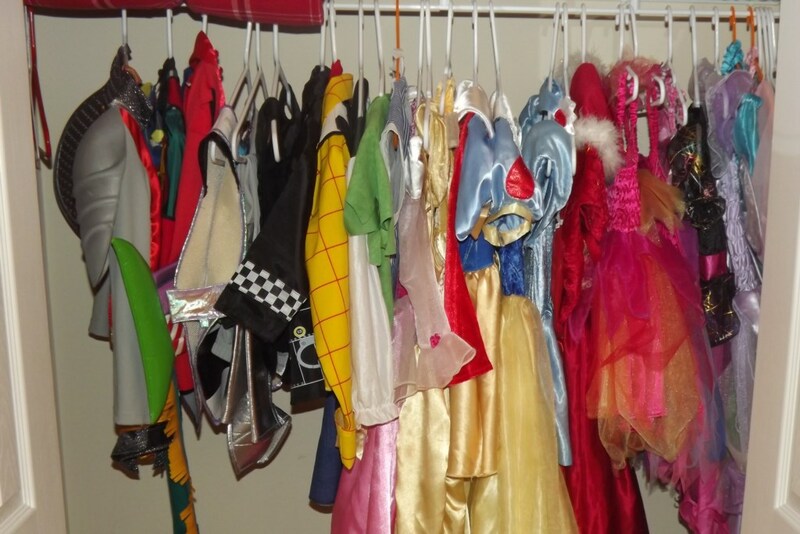 The children all under 5 loved the pool and the huge selection of Disney dressing up costumes. When we went to the parks the children would be asking when can we go back to the big house?? My parents joined us for 5 days, the loved the front king bedroom as it was kind of set back from the other bedrooms. They enjoyed just slipping away to catch up on some rest, or to watch a few of the DVD's that were provided in the villa. The home was immaculately clean, the beds were so comfortable it was hard to make plans to get to a park for rope drop! I think we managed rope drop once and that was the first day. There was a lovely welcome basket that Mary provided which was a lovely touch. The grocery store was very close, the Disney parks were easy to get to. The home offered everything we could have needed and more. The only thing I was unhappy with was packing up and leaving, we are now planning another trip for next year. I do hope Mary & Colin's home is available for our return trip. Thank you Mary & Colin for allowing us to stay at your wonderful home. Had a great week! House was great. Super clean. Great hot tub! Will hopefully be back next year! This is a very nice home and the hosts are lovely. Great location and lots of seating inside and on pool deck. Tons of extra linens and pillows, several board games. Would be great for families with children. Great location, on a good neighborhood. Perfect house for a large family. Love the hot tub. I would definitely stay again. Owner's response: Thank you so much for your review and lovely comments, it was a pleasure having you stay, we look forward to your next visit. I will have to make sure there is plenty of bigger size dress up for little one. That was really good to hear the youngest has learnt to swim, what a great place to learn. So pleased we could help make those memories. Your enquiry will be sent to villa ref 3386 only. This page has been viewed 20833 times since 10 Apr 2008.